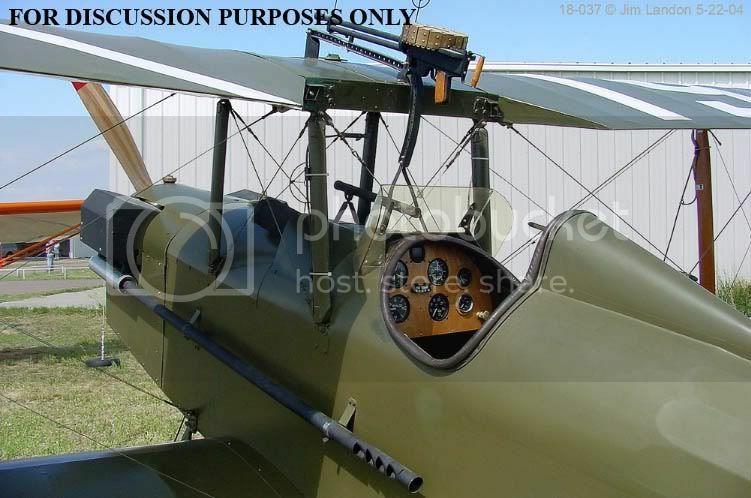 I'm somewhat befuddled with the cabane rigging layout on the S.E.5a. I've taken the liberty of using a couple of Jamo's images to illustrate the problems I'm encountering. I hope you're okay with that Jamo! I've laid out the rigging lines between the front and rear cabanes in blue and between the right and left front ones in red. In the top image, I marked a separate line that runs from the left rear cabane to the left side of the fuselage. This line definitely enters the fuselage alongside the MG. In the lower of the two images, that 'yellow' line is definitely not there. However, in this image I see what appears to me to be rigging lines between the left and right rear cabanes. I don't see those lines in the top image. 1) Are there rigging lines between the left and right rear cabane struts, as with the front struts? 2) What is that 'yellow' line? Now I'm getting worried! I agree totally with Keith on the "yellow" lines however I recently rigged my SE cabanes differently. Thought I'd done my homework as I spent hours studying every reference I had, some of which clearly showed that the cross braces on the front cabanes didn't "cross", rather they went from the top and into the front fuselage on the same side. (ie. reverse of what's shown here) Also, no cross braces on the rear cabanes, just the "Yellow" lines as illustrated. Or, did I do it wrong? Lord, what would I do with my time if I didn't have earth shattering issues such as this to resolve!?! In my composite image in my original post, I traced exactly over the visible lines, so in image 'B', the front cabane lines definitely cross over, depending on the configuration of the aeroplane. Check out the original photo below. In the next image, you can see the rear cabane lines crossing over and terminating in the fuselage immediately in front of the windscreen. And now it gets really confusing. 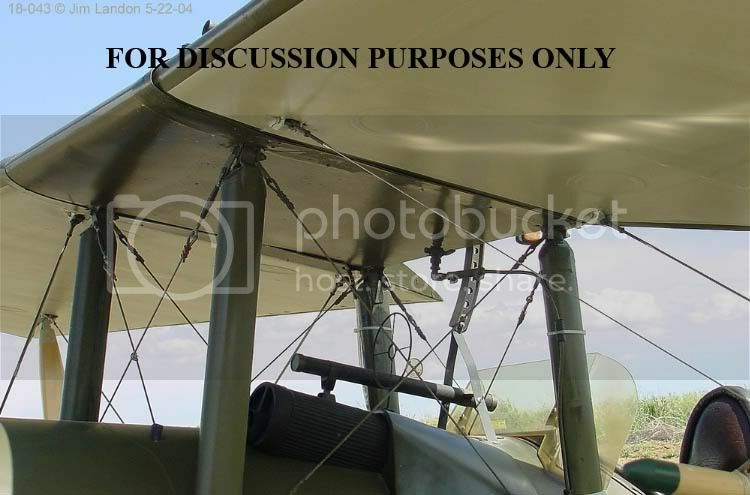 If you look below at the following closeup of Image 'A' from my original post, the left side cabane line angles down and terminates in the left side of the fuselage, next to the MG. That line could not possibly cross over a line from the right side cabane. As the right side cabane line is not even visible, that indicates to me that it terminates on the right side of the fuselage, exactly as noted by kornbeef. 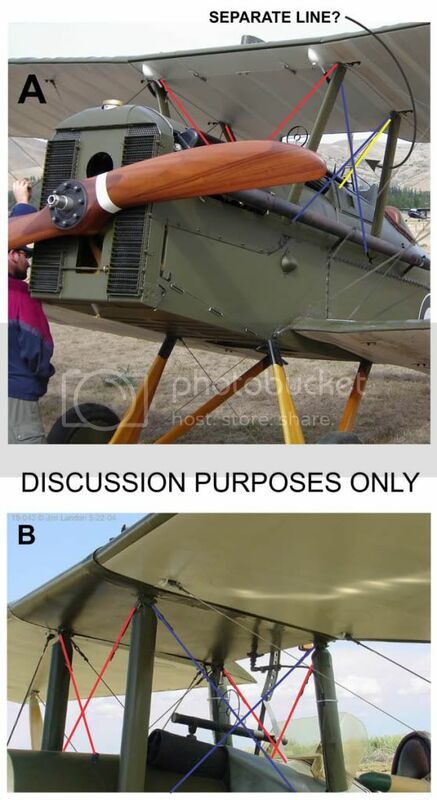 In comparing the photo evidence above, I'm left pondering the thought that there were two distinct means of rigging the rear cabanes, depending on the version of the aeroplane. As such, I believe that you have your S.E.5a rigged properly Lance. Sorry for the confusion! Lance I cheked reference, what you have is correct with period photos in the Windsock books bracing passes through the skin in front of the tank and crosses inside the fuselage itself so you can relax, take a deep breath and chill my friend. Two of the pics chris has posted are a replica and not an overly accurate one at that I think, still though they do illustrate perfectly what his concerns are. No confusion, thanks for the quick responses. This sort of topic is stimulating to say the least, lots to be learned and, significantly, great satisfaction in getting the correct answers. 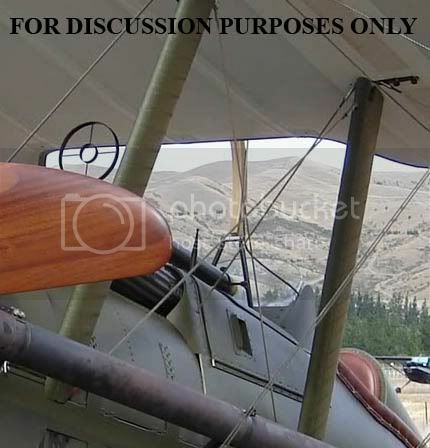 There is rarely only one correct answer to questions concerning these great(and soon to be 100 year old) classic aircraft. The pressures of being in a battle environment with the associated logistical challenges led to many "field" modifications and improvisations as we all know. Add to that the mobilization of captured equipment (consider the use of captured rotary engines by German Units for example, or Aldis Gun Sights or even the prized Brit leather jackets)) and the rules are based on a foundation of warm puppy excrement! I digress; nice to have Folks of similar interests to chat with and compare notes. 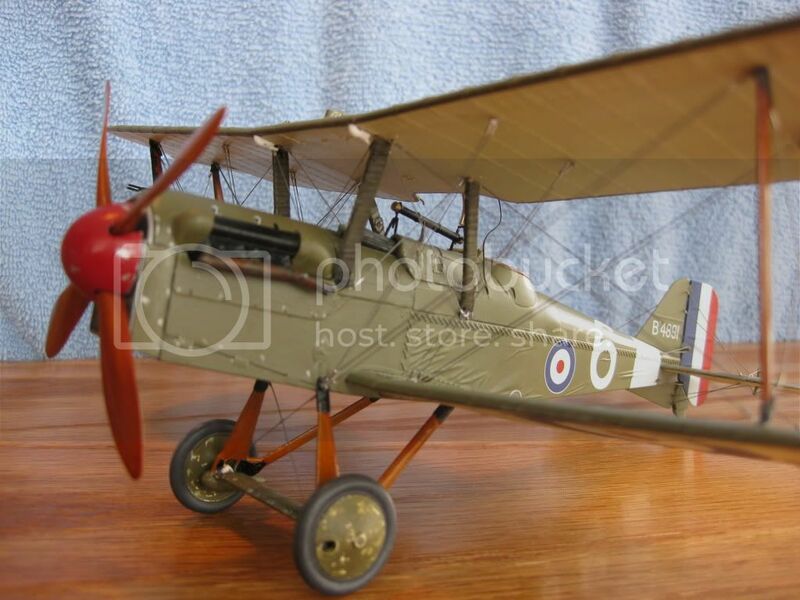 Thanks for posting that image of your WnW S.E.5a as it shows the rigging a lot better than the meagre reference material I'm using. I have the WnW kit myself and am using their rigging diagram, but as good as their instruction booklets are, I really do think their rigging diagrams could be improved. After all, it's the rigging that makes these aeroplanes stand apart so it's vitally important that there's no confusion. More enlargements would definitely be helpful for novices such as me.